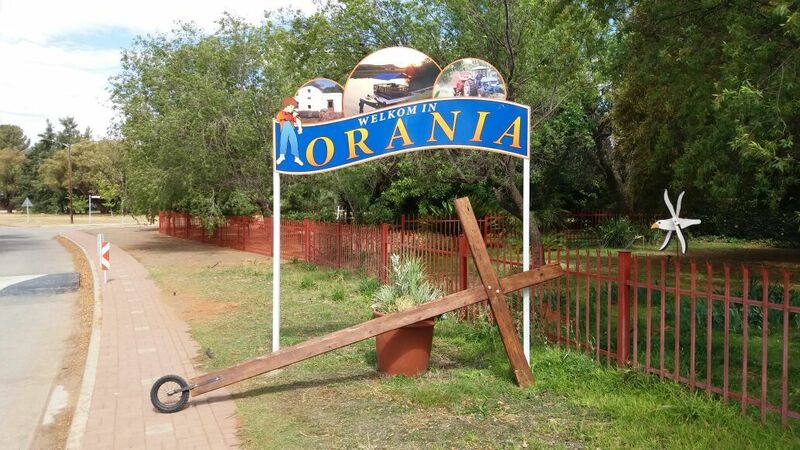 On our way to Pretoria the Holy Spirit led Winnie and me to visit Orania to pray, pull down stronghold and share the Gospel walking with the cross. On arrival late Sunday afternoon we went to the local caravan park, setup camp and went for a walk to look around. Next to the park there was another caravan park overlooking the Orange River. We got hold of the first park owner that had no objections for us moving there. At the other park once settled the park manager Pieter told me he will be going to church at 6pm and i felt led to join him. 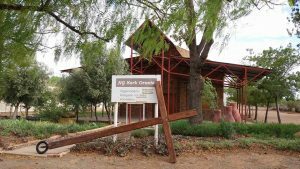 i went with him to the only Pentecostal church in Orania there Marnatha Aanbidding sentrum. People very friendly arriving there with me and the pastor playing the guitar and leading the worship with mostly afrikaans songs. When i was introduced to just share what we doing with the cross in Orania the pastor asked me to preach a message instead. As i was totally unprepared the Holy Spirit lead me to preach a powerful sermon on picking up your cross following Jesus and about obedience is better that sacrifice. When i did an alter call one lady backsliden came back to the Lord and one gentleman that came for prayer surrendered to Jesus. A number of people also came up for prayer which i then felt led to anoint them with oil and just pray in tongues while doing so. It is amazing how God works as the people remained standing as they in expectations waited on the Lord to give them a word. i then started going back to the people and gave most people a word from God. On leaving the late pastor “Oom Kallie” wife blessed me with R500 which was unexpected. We used that money to buy food and pay for our caravan park during the stay in Orania. 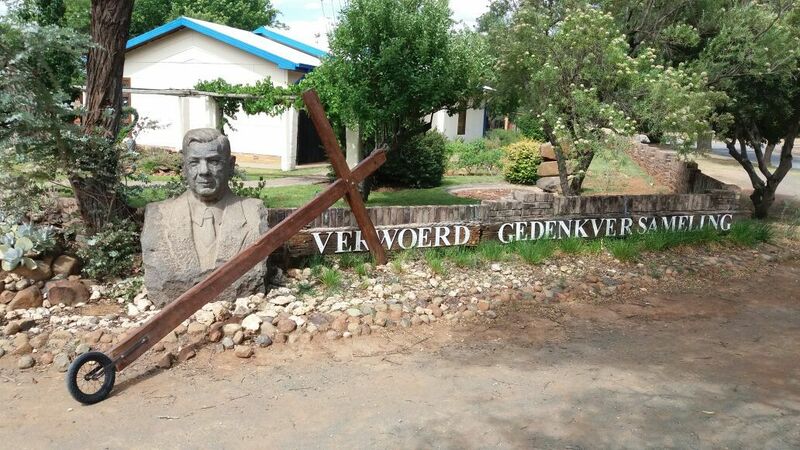 On Monday Winnie and me took a drive around to look at the place and about midday after spending time praying i left Winnie at the camp and went to the entrance of Orania with the car and walked from there with the cross. i walked along the main road and on entering the town as i only had English tracts with me offered one to a lady approaching me. Sadly she kinda rudely said “ek is n boer en praat net afrikaans” (meaning she is not interested in reading English stuff and want to having nothing to do with the english) i continued speaking with her (in afrikaans) for a while and she said work is scares with many poor people there and she is battling to get a work as she is only on a government pension of R1500 . i told her i heard that people do ironing and house work and she responded “ek is niemand se wit meit nie” which to me exposed her heart. Leaving her i though it was going to be a problem giving out English tracts but of the +- 40 little gospel books i gave out after that all was well received. 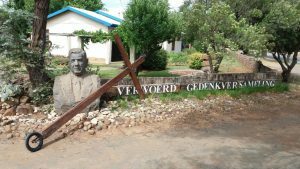 i continued walking down the road to the main entrance of the town and was greeted by a huge statue of late President Hendrik Verwoerd and a museum dedicated to him. 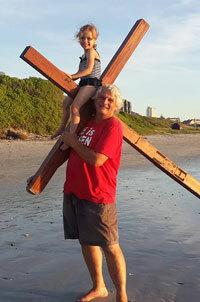 As i walked with the cross most of the cars passing me the people greeted me but not over friendly with a number of people just glaring at me. i walked with the cross to the town offices had some water and handed 2 ladies a gospel book at reception. It was strange to walk in a town where there is only white people and no people of other race present. All manual work such as gardening, garbage collection, building, concrete mixing is done by white people where in SA in most places black Africans normally do that work. i wonder how i would have been received if i was a black man walking with the cross sharing the love of Jesus? i walked to the small area called Klein Geluk where i preached and prayed outside the church. 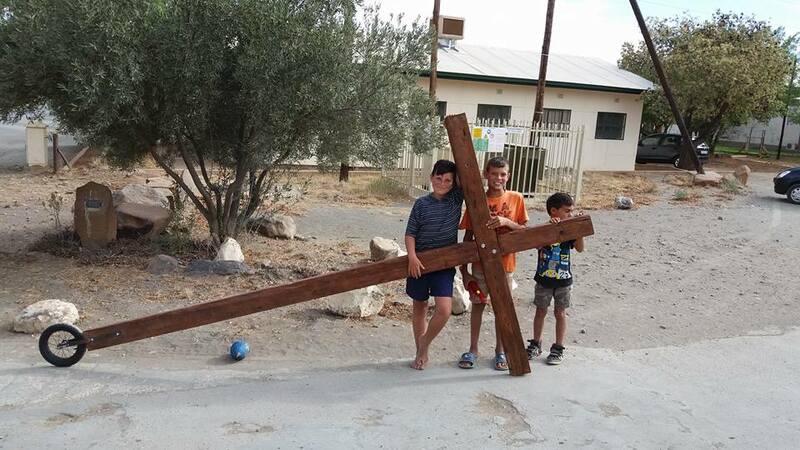 On the way back 3 little boys approached me asking about the cross. i explained to them why i walk with the cross. i offered them books in English with one of them that could read it well. The one boy asked for another as he wanted to give it to his teacher with the little one wanting to do the same. The same boy then asked again wanted one more to give to his parents. i always pray asking the Holy Spirit to send children across my path to share the gospel with. Walking in Orania the Holy Spirit showed me that most people in Ornania is running away from reality, believing they free but in fear of what is going to happen tomorrow, controlled by the town owners and is actually in jail and not free at all. From all the christians i met and spoke to they believe this is where God wants them but i want to know? Why would God want such a place to exist if the people don’t want to have any people of other races there? Didn’t Jesus die for all in John 3:16? Speaking to people there one of the qualification to stay there is that you have to be white and be a “christian”. Is it possible to be a “christian” yet believe you better that other races? This is what the Word of God has to say……..
Winnie and me will continue to pray for the people of Orania as time is short and i believe God can change the hearts of people. If you need prayer or want to comment feel free to do so below.